From aerospace and automotive to energy, civil engineering and maritime, the advanced engineering supply chain supports an incredible breadth of sectors. As the Fourth Industrial Revolution takes shape, by investing in the UK and locating your supply business here, your organisation becomes a part of a strong advanced manufacturing ecosystem with valuable access to local and international markets and many other advantages, including a highly-skilled technical base with advanced research and development capability, state-of-the-art precision equipment, a pro-business environment and opportunity to enhance productivity through automation and digitalisation. 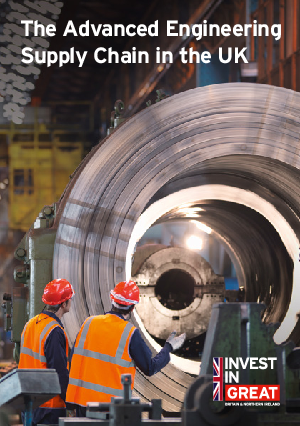 Whether your organisation is looking to open doors to new markets, improve manufacturing productivity or enjoy the benefits of being part of a successful engineering ecosystem, this guide will help you discover more about the UK’s key capabilities.